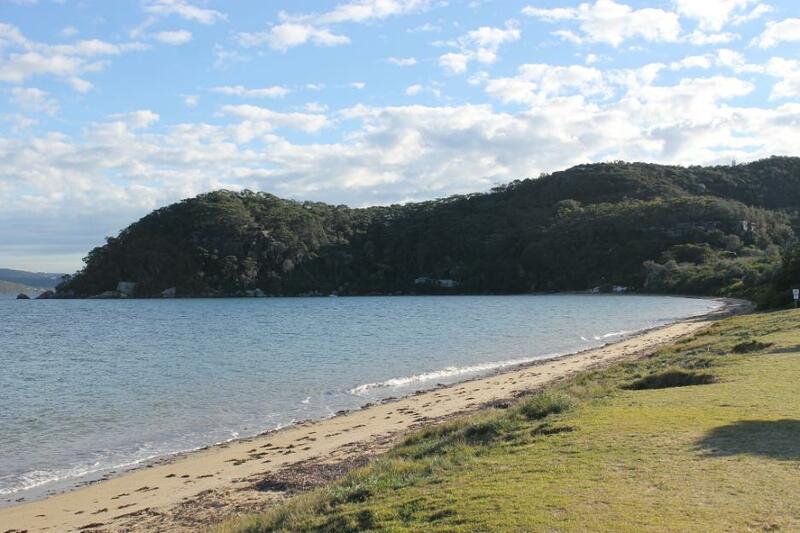 Pittwater has a vested interest in keeping an eye on the newly formed NSW Marine Estate and understanding its new two key Advisory Bodies. 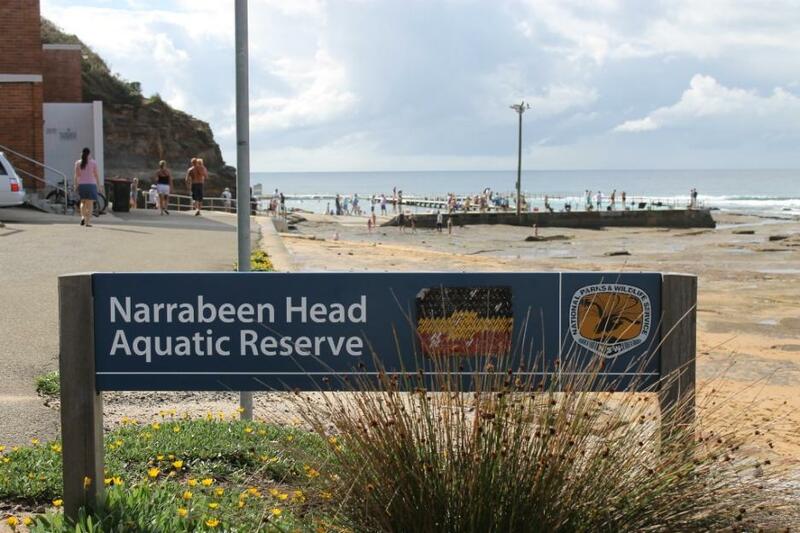 We have two Aquatic Reserves in Barrenjoey Head Aquatic Reserve and Narrabeen Head Aquatic Reserve. Aquatic reserves were established to protect biodiversity and provide representative samples of varied marine life and habitats. Although aquatic reserves are generally smaller than Marine Parks, they play a significant role in the NSW marine protected area system. The type of protection varies from reserve to reserve. In some reserves fishing is permitted, as long as bait is not collected in the reserve. In other reserves fishing is prohibited while diving and observing the marine life are permitted. At both Barrenjoey Head and Narrabeen Head Aquatic Reserves line fishing and spearfishing (subject to normal restrictions) are permitted. Collection of rock lobster, sea lettuce and baitweed is also allowed. Prohibited activities are the collection of cunjevoi, commonly used as bait, and all invertebrates (dead or alive), including anemones, barnacles, chitons, cockles, crabs, mussels, octopus, pipis, sea urchins, sea stars, snails and worms, and empty shells. The taking of abalone in line is also prohibited with a general ban between Port Stephens in the north and Wreck Bay Beach, Jervis Bay in the south. Minister for Primary Industries Katrina Hodgkinson and Minister for the Environment Robyn Parker today announced decisions around the management of the NSW marine estate will now be based on science and in the long term interest of community, marine ecosystems and industry. “The NSW Government is delivering on its election commitment for a common sense marine parks policy and is supporting the principal recommendations of the Independent Scientific Audit of Marine Parks,” Ms Hodgkinson said. • Remaining committed to the moratorium on new marine parks, pending advice from the new Marine Estate Expert Knowledge Panel. “After years of political interference and decisions based on poor or incomplete science by the previous Labor Government, the credibility of Marine Parks and our fishing industries has been undermined,” Ms Hodgkinson said. “The NSW Government’s vision is for a balance between economic growth, particularly in our regional communities, and conserving our marine ecosystems leading to a greater appreciation of its unique value,” Ms Parker said. Associate Professor Bob Beeton, Chair of the Audit Panel, said the key recommendations for effective and sustainable management are captured in the Government’s response and will benefit recreational and commercial interests, marine biodiversity and the community. The Marine Estate Management Authority will replace the Marine Parks Authority and will be informed by the work of the Expert Knowledge Panel, providing independent advice across ecology, economics, and social sciences. “I am pleased to announce two eminent individuals to lead the respective organisations who have extensive experience in public administration, natural resource management and economics. The independent chair of the Authority is Dr Wendy Craik and the independent chair of the Expert Knowledge Panel is Dr Andrew Stoeckel,” Ms Hodgkinson said. The Authority will convene its first meeting in the coming weeks. Expressions of interest for the remaining Expert Knowledge Panel positions are now open. No word yet on the ‘six month assessment’ that was due in September 2013. Paragraphs in both reports seem to point to ‘restraint’ and thus the wondering by so many why ‘effective immediately’ was so suddenly announced. The NSW fish stock assessment, a three year report, was not started this year, so that will never be a reference document. The Cronulla Fisheries Research Centre of Excellence, which prepares the assessment, was abolished by Minister for Fisheries, Hon. Katrina Hodgkinson, last year. The other note of contention is a perceived ignoring by the NSW Government of our vast body of Marine Scientists despite an ever growing body of reports, papers and the facts published in them. It is in the very nature of accumulating knowledge to close these papers with a statement of ‘further and future research is required to’ …illuminate and grow the body of knowledge. That is the basis and fundamental principle behind bothering to research for years any one subject and then publish your findings – continual and Lifelong Learning - a principle the bulk of our university educated and graduated representatives at all tiers of government must have come into contact with or be aware of. For those of us who are less well-educated; we have only to listen to the stories of people still alive of being able to catch huge snapper, tailor and flathead closer to shore to know the world beneath the surface of the seas that meet Pittwater’s shores has changed within our generation. Commercial as well as recreational local fishers have expressed concern over depletion or complete absence of fish stocks unless you go a few kilometres offshore, outside reserve zones. They too have a reasonable and sustainable approach to fishing, in that they want to keep fishing. I have been scanning that audit with a fine tooth comb and I cannot see anywhere where this is actually part of that recommendation. In fact quite the opposite. I have found parts of the audit where they believe that no take zones are important in the context of biodiversity conservation and where the aim is to preserve habitats from extracting uses including human impacts including fishing. The decision to open up all of the coastal sanctuary zones to recreational fishing is not supported by the science. The science of marine parks would say we need reference areas that are free from all potential human impacts that will serve as the long term reference against which we can measure impacts. …tailor is an inshore schooling fish and predator. It is classified as fully fished. Tailor live to 10 years and mature to about 10 kilograms. However, they are fished at around one to 1.5 kilograms before the species can reproduce. Older fish are commonly found around rocky headlands. Marine parks aim to conserve marine biodiversity – the variety of marine life – and habitats and at the same time provide opportunities for sustainable fishing, public appreciation and enjoyment. You can fish in every NSW marine park, except in areas set aside as sanctuary zones. Some limitations on fishing may apply in some habitat protection zones and special purpose zones. This brochure also states $30 million has been spent already by the NSW Government on commercial fishing buyouts to support sustainable recreational and commercial fishing in marine parks. And also that: Just 6.7 percent of NSW coastal waters are set aside as ‘no take sanctuary zones’ to help conserve our marine life. Less than 4 percent of the NSW coastline including ocean beaches and rocky shores are set aside in sanctuary zones. So no 10% tithe to any perceived maker or Keeper practice in place there and clearly fishing in Marine Parks being extended into ‘sanctuary zones’ was the ‘effective immediately’ modification that irked those who voiced opposition to this announcement. Within a week of each other, two new reports have come out this November. The Marine Estate Management Authority today released a paper, Managing the NSW Marine Estate: Purpose, Underpinning Principles and Priority Setting. (PDF 2MB at HERE): The paper outlines the vision, principles and processes the Authority will use in advising the NSW Government on management of the marine estate. Following the Independent Scientific Audit of Marine Parks ), the Authority, with guidance from the independent Marine Estate Expert Knowledge Panel, is driving implementation of the new approach to managing the marine estate. Ten principles for managing the marine estate are contained in the paper, beginning with ‘effective community engagement to identify and prioritise benefits and threats’. Further information is available at www.marine.nsw.gov.au, where the paper is available to view or download. 1. Better information is needed on the ecosystem effects of fishing and the integration of this information into the annual stock assessment of commercial and recreational fishing. 2. Recreational fishing (including distribution of effort, catch, discards of by-catch and ecosystem impacts) must be evaluated and the results of that incorporated into marine park management. d. recognising that the needs of user groups should be included in any future zoning in the context of a much expanded NSW Marine Estate. This could extend to innovation such as havens for particular forms of fishing or other specific uses. This would be facilitated by the amendments to legislation and administration suggested in Recommendations R12 to R15. A recommendation that the management framework encompass the entire marine estate and represent a statewide approach has seen the recent establishment of two new advisory bodies (JPG 268Kb). • have an independent Chair. The Ministers have selected Dr Wendy Craik AM for this role. • oversee management of the NSW marine estate, including the current system of marine parks. • report jointly to the Minister of Primary Industries and Minister for the Environment. • include as members the heads of NSW Trade and Investment, Primary Industries, Environment and Heritage, Planning and Infrastructure, and Transport, and the Chair of the Expert Knowledge Panel. • be chaired by Dr Andrew Stoeckel and consists of five other experts. • provide the Authority and Ministers with expert advice across ecological, economic and social sciences. • Dr Stoeckel will also be a member of the Marine Estate Management Authority to provide for the Authority having direct access to scientific expertise. • Developing a threat and risk assessment framework (PDF 58Kb) – to underpin and prioritise. effective management across the marine estate to address the primary threats. • Developing a Marine Estate Management Strategy (PDF 63Kb) – through which the strategic framework and priorities will be set, and monitor its implementation. • Marine park management reforms (PDF 79Kb) – including consideration of multiple use zoning, incorporation of ecological threats and risks, economic and social considerations, and improved public communication and engagement processes. In response to uncertainty and information gaps, the precautionary principle will be applied and measures will be taken to avoid threats of unacceptable environmental damage. However, lack of full scientific certainty will not be sufficient reason for postponing action. While Social Media in recent months has stated the NSW Government is a puppet for the Shooters and Fishers party who hold two seats and the balance power in the upper house, a lucid insight this week has come from another ‘independent’ source outside of the state government’s panel of Independent experts. The second new report ‘THE MARINE PROTECTION DIVIDEND, NSW marine parks deliver more over time’ by a fellow of the Centre for Policy Development, Caroline Hoisington, a former World Bank Economist, states many of NSW’s Marine Parks have not been in place long enough to determine all of their benefits. The CPD report finds that marine parks already provide significant economic and social benefits to the communities they are part of. More importantly the report states that a minimum of 15 years is necessary to assess ecological impact. As Marine Parks in NSW were only established through The Marine Parks Act 1997 with the Solitary Islands and Jervis Bay marine parks POM’s established in 2002, the assessment stage falls a little short. • Marine parks provide significant economic benefits to local communities. They attract significant tourism: the establishment of the Solitary Islands Marine Park, for example, saw a 20% increase in local business turnover in the first five years. Jervis Bay Marine Park has brought an estimated $2.4 million into the region through marine tourism. • Community support for marine parks, and sanctuary zones within them, is high. In the three NSW marine parks where local opinion has been surveyed since the establishment of the park, support is extremely high across all sectors of the local community, with support for sanctuary zones at 80% or higher. • Benefits from marine parks continue to increase over years and even decades. While NSW marine parks are still in the early years of the protection afforded by their existence zoning, elsewhere in Australia and overseas marine parks have shown continued growth in environmental and economic benefits over twenty years after protection began. • The existence of sanctuary zones within marine parks is essential to the recovery and growth of fish and other marine species, and thus to the economic benefit of marine parks. Tourists are drawn to marine parks to see wild areas and to swim, boat, snorkel, dive, and fish. European studies have shown that for each year a fully protected zone is in place, the number and/or size of commercially targeted fish within the park, compared to the immediately adjacent areas, increased by around eight percent. Older marine reserves are more effective than newly established ones, both for increasing the size of commercial fish species and for increasing species richness. • Both recreational and commercial fishing benefit from the environmental recovery provided by sanctuary zones. Fish and other marine species increase in size and number in protected zones and there is significant spill-over to surrounding areas, growing over time. • Recreational fishing has a significant effect on fish stocks, making up as much as 90% of the catch for some species. The impact of recreational fishing is often thought to be minimal: one angler doesn’t catch much compared to one fishing trawler. However, the total number of recreational fishers is a massive multiplier and sustainable fish stock management for the preservation of both commercial and recreational fishing in the long term must take recreational fishing into account. • Marine Parks in New South Wales are multiple use parks. Marine parks cover less than 40% of NSW State Coastal Waters and all are multiple use parks with different zone categories. Of the marine park areas, 82% allow recreational fishing and a variety of other uses, including some commercial fishing. Less than 18% of the area of State Marine Parks is in sanctuary zones where extractive uses such as fishing and collecting are not allowed. In broader terms, 93% of the total area of State Coastal Waters is open for recreational fishing, some commercial fishing and other activities, and just 7% of state waters are fully protected in sanctuary zones. • The process of creating marine parks in NSW was bipartisan, multi-staged and involved years of research and consultation. It starts when an area is studied, a park proposed, discussed, declared, and zoned in an official management plan, and then the zoning is reviewed after the initial 5 years and at 10-year intervals. Studies and local input are a required part of each step. The management plan sets out the area of each marine park in the four legally defined zones and what activities are allowed and prohibited in each. • The zoning of New South Wales marine parks is all fairly recent, and economic and ecological benefits will continue to increase in future years and decades. In NSW, the first management plans came into effect in 2002 for Solitary Islands and Jervis Bay marine parks. Lord Howe Marine Park was zoned in 2004; Cape Byron Marine Park and Port Stephens – Great Lakes Marine Park in 2006; and Batemans in 2007. As marine parks need to have consistent protection in place for around 15 years before it is possible to reliably assess ecological benefits, none of NSW’s marine parks is yet old enough to be judged. As the Sitting Day Calendar for the Parliament of NSW closed this week it will 2014 before any proposed ‘amendments’ may be introduced for debate. This week the other big debate for 2013, the Planning Bill 2013, passed in the Upper House on Wednesday 27th of November with numerous amendments, and will proceed to the Lower House when Parliament resumes in 2014. Clearly everyone is now given some time to ‘pause for thought’. The Legislative Assembly next sits on Tuesday 25 Feb 2014. The NSW Legislative Council next sits on Tuesday 4 Mar 2014. We don’t think there will be any Christmas Eve introduction of a ‘Building Application’ as we saw last year for large developments at Warriewood….but….we’ll keep an eagle eye on things anyway. If you see another ‘overview’ pop up in January’s 2014 Summer mix you’ll know we had to leave the beach and get back into the office. Either way, it’s the first day of Summer today – time to get paddling, get wading, get swimming, surfing, sailing and motor boating – that’s sure to scare off a few more fish! Barrenjoey Head from Station Beach. Marine Parks and Aquatic Reserves December 2013 Overview - ‘Not in Place long Enough to Determine Benefits’- collected and collated by A J Guesdon, 2013. Pictures by AJG .